I recently wrote about the need to put down 20% when buying a home, which although often recommended, isn’t a necessity these days. There are programs from both the FHA and Fannie Mae and Freddie Mac that allow much lower down payments. In fact, one only needs 3% of the purchase price to buy a home today thanks to newer offerings like Freddie Mac’s Home Possible Advantage. But despite being a widespread option, anything under a 20% down payment comes with price, literally. We’re talking a higher mortgage rate to account for increased risk if/when you default, and the need for mortgage insurance to protect lenders willing to offer low-down payment loans. At some point, the late 1950s per Wikipedia, one company by the name of Mortgage Guaranty Insurance Corporation (MGIC) decided that it would insure the first 20 percent of a defaulted mortgage. This allowed lenders to offer mortgages to borrowers lacking that key 20% down payment, and seemingly ushered in a new era of low-down payment loans. Several decades later, the Homeowners Protection Act of 1998 was enacted to allow borrowers to drop PMI after their loan-to-value (LTV) reached 78% or 80%. Now, all that might change, assuming some form of regulatory reform takes place and lowers the standard down payment from 20% to 10%. Such a thought was floated by Bank of America boss Brian Moynihan last week during an interview with CNBC. His general point was that most loans are purchased by Fannie Mae and Freddie Mac, both of which require mortgage insurance unless you put 20% down. The reality is most individuals don’t have the funds available to put down such a large down payment, so they either have to pay PMI month after month, or forego a home purchase. If somehow Fannie and Freddie lowered the PMI requirement to loans with less than 10% down, perhaps millions of homeowners wouldn’t be subjected to paying this extra cost, which can add up to hundreds of dollars per month. As such, one could reasonably argue that these loans become even more unaffordable because the borrowers have to foot yet another bill each month. 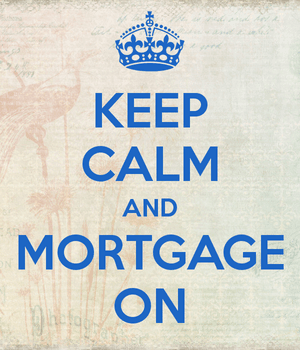 The PMI also raises their DTI ratio, which makes it more difficult to qualify for a mortgage. Whether that’s true is certainly up for discussion, though one could argue that sound underwriting is more important than down payment, assuming there’s still a sizable amount of skin in the game. Would It Actually Make a Difference? Here’s the thing – if Fannie and Freddie agreed to no longer collect PMI if the borrower’s down payment were 10% or more, they’d likely just pass on the risk a different way. This could be in the form of higher pricing adjustments, which would translate to higher interest rates and/or closing costs on the loans. In effect, the borrower might wind up paying the same amount, or very close to it. But instead of paying a separate fee for mortgage insurance, they’d pay a higher principal and interest payment each month. It’s not a novel concept. You can already get your hands on lender-paid mortgage insurance, which comes in the form of a higher mortgage rate in exchange for you not having to pay your mortgage insurance directly. But in the end, it’s still being paid by you. Heck, there are already lots of lenders that don’t require PMI if you put down less than 20%, it’s just built into the rate. It’s a marketing ploy. There’s also the option of a piggyback second mortgage opened concurrently with your first mortgage to keep it at 80% LTV or less. As to whether a change like this would actually generate higher purchase mortgage production remains unclear. If savings were actually passed onto the consumer it’d be great, and like Moynihan said, probably wouldn’t add much risk to the housing market. You’d then have to look at the borrower putting 20% down. Would they get a discount if a 10% down payment became the norm? For the record, the average down payment, at least a couple years ago, was just 14%, and housing demand seems to be just fine.